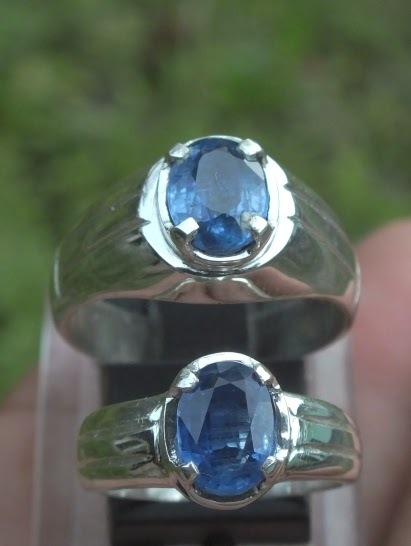 These are two beautiful rings made of Natural Blue Kyanites. 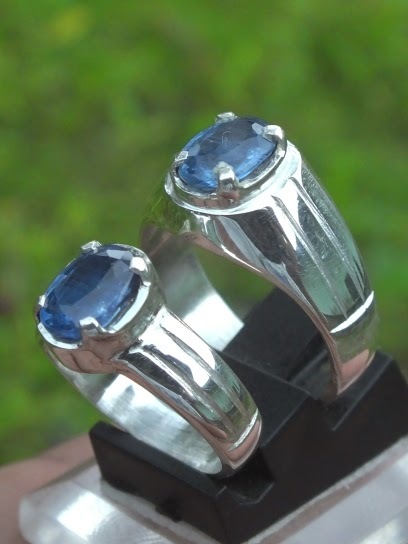 These 925 Silver wedding / engagement rings are the symbol of eternal love, symbol of loyalty between two lovers. 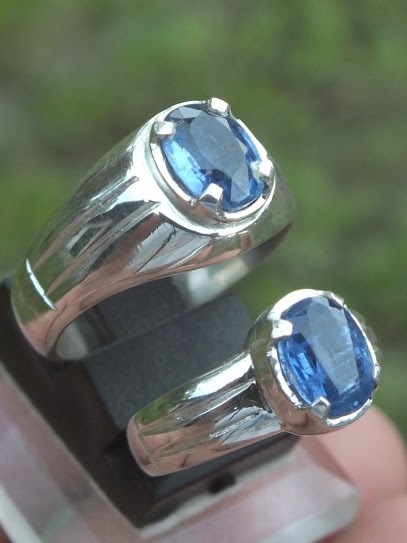 The ring size for the man is 18mm, and for the woman is 10mm. The size of the gems (for both) est. 8mm x 6mm x 4mm. 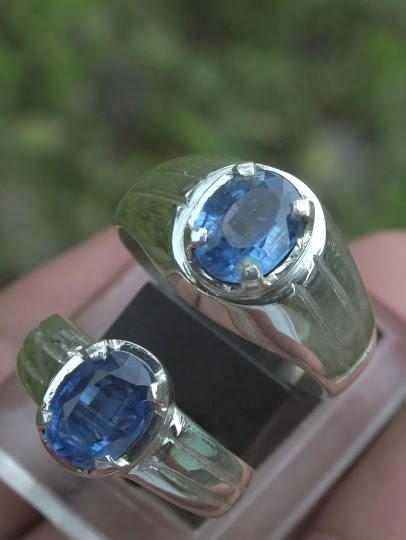 A very beautiful pairs of engagement rings! 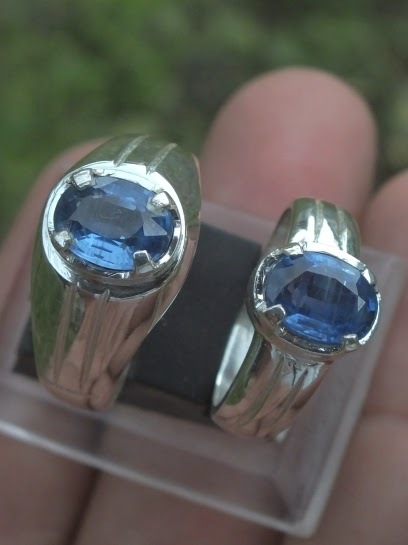 Natural Blue Kyanite!